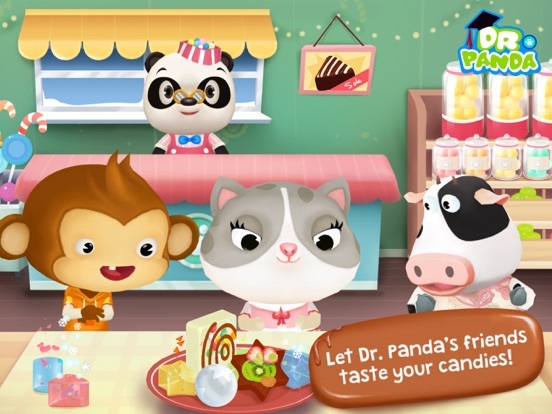 Explore the exciting and delicious world of Dr. Panda Candy Factory! 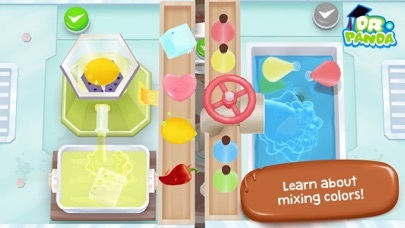 Help Dr. Panda control the machines in his factory and experiment with color, flavor and shape to create tasty candy! 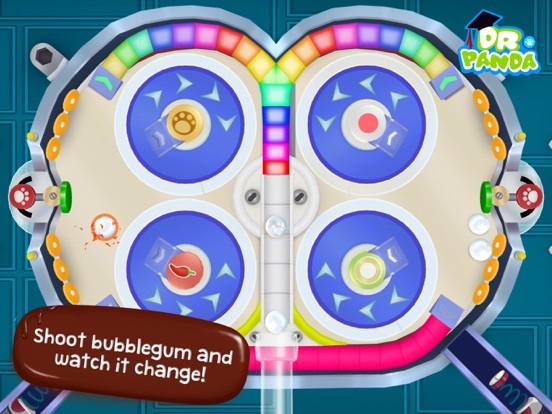 Dr. Panda Candy Factory is about playing, creating and communicating! Each factory has been designed so that kids can choose to play by themselves or together on one screen with a friend or parent. SO MANY WAYS TO CUSTOMIZE! Make different kinds of candy in an endless amount of ways! Launch bubblegum in the exciting pinball factory, get creative in the gummi lab or make a mess in the chocolate creation station! …And don’t forget to let Dr. Panda’s friends have a taste! Watch them react to your candy, and they’ll tell you just how much they love them! 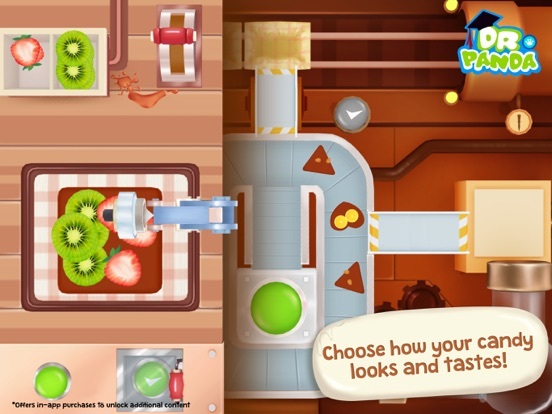 **This version of Dr. Panda Candy Factory is free to download, and includes the gummy factory for free. 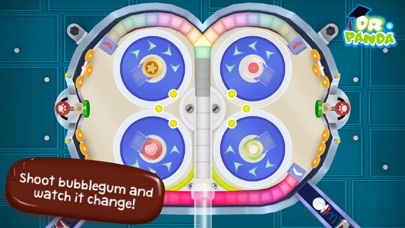 This app contains in-app purchases to add more factories to make more, different kinds of candy. 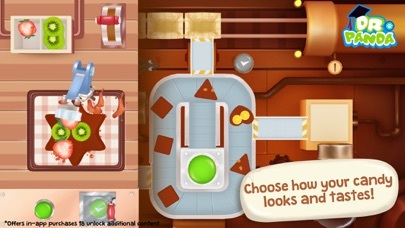 Content is identical to the paid version of Dr. Panda Candy Factory. - Design and create your own candy in over 60 ways! - Make chocolate, bubblegum and gummies! 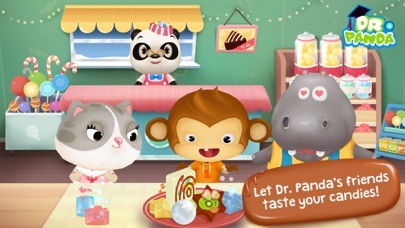 - Let Dr. Panda’s friends taste and react to your candies! 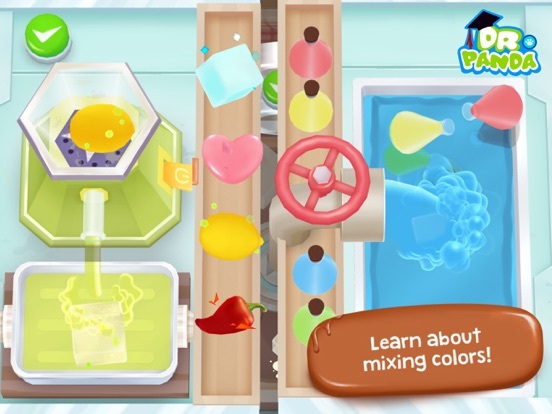 - Learn and mix how to create new colors! 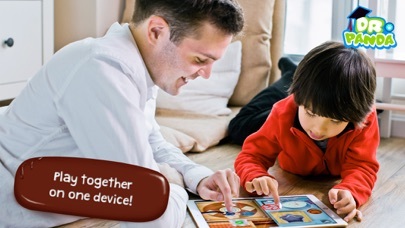 - Play and discover together with a parent, friend or classmate! Enjoy playing along Dr. Panda Candy Factory? Leave us a review and share your fun stories! Have feedback? Leave us a message​ at support@drpanda.com.